Safety shoes you will want to wear. Office. Plant. Around the town. Where I can buy these for shipment to the US??? Hi Erin, our new Vanessa pump is getting an amazing response. In the US I would recommend ordering 402109 online from Steel-toe shoes.com. Thanks for writing. I’m so happy to hear that. We are getting great feedback on the Vanessa boot. Thanks for writing. I purchased the Vanessa 402109 at the beginning of the month of November. Wore them the first time a few days later. The shoes fit really nicely and look great in a manufacturing environment. My only problem is that the steel toes pinch my toes. Is their anything I can to alleviate the pain they are causing because this is the first pair of shoes that my arches are not hurting at the end of the day and you gotta love that! Happy and sad at the same time! I’m glad you like the look of Vanessa and sorry to learn that the sizing is a bit tight. In hindsight, it sounds, from your description, that you may have benefited from a half-size larger in this style to prevent contact with the steel-toe. I would like to send you a different sock liner as that may help. I will email you separately to get your mailing address and shoe size. Thanks for writing to us with your feedback. Hi! Can you tell me what the heal height is? I checked the description, but can’t seem to find it. Thanks for your question. Vanessa’s heel height is approximately 1.5 inches. I ordered these shoes a couple weeks ago. I paid extra for shipping to get them quickly. When I got them I was so excited until I noticed one was off black and one was shiny. I called steel toe shoes, com and they said to email picture. Of course they couldn’t tell. So I sent them back for a new pair. They said they couldn’t tell after 4 people looking. I did get refund on shoes but not shipping. I had 4 people including my husband who never notices say”that’s two different shoes”. You may want to keep an eye on your destributors. I was really disappointed. Thanks for writing to us and I’m sorry your introduction to Mellow Walk was less than ideal. I can tell you that our experiences with steel-toe-shoes.com has been excellent. I would like to investigate as if the shoes did not properly match in color it is possible that the issue originated at our factory. Would it be possible for you to email the photo to feedback@mellowwalk.com as I would like to share it with our production staff. Thanks again for bringing this to our attention. I’ve been to Work Authority, Marks and Mr. Safety Shoes today and I haven’t seen this style at any of those locations. At Marks I have seen the Vanessa 412109 but not the shoe version. Would the store be able to order it for me or do I need to order it online? You can find Vanessa 402109 at Al’s Shoe Factory in Brantford, Factory Shoe Outlet in Burlington, and Work Authority has recently added it to its stores. You can also buy it online from Shoeme.ca. If you are still having trouble locating please give us a call 416-241-1312. Thanks. I have another question I forgot to ask. Back in 2005 I purchased a Mellow Walk shoes that look very similar to this style on the label inside it says CASE 12037 STYLE 4054 SOLE Pauline WIDTH E. I went to a few stores hoping to buy another pair since mine is very old but nobody carries that style anymore. If you are aware of the old style I was wondering how does the old style compare to Vanessa 402109? Wow. A 10 year-old Pauline safety shoe. A great testament to made in Canada quality. Vanessa is truly an update to Pauline. Vanessa offers a grade 1 safety toe (highest level) while Pauline is grade 2. Vanessa also offers a metal free protective plate and protection against contact with electricity (ESR). Pauline featured a static dissipative sole. When it came to fit we opted to build in more comfort with Vanessa, more interior space and a full length PU ultra comfortable insole. Hope this helps. The Vanessa 402109 is the most comfortable steel toe shoe that I have ever worn that the first that doesn’t make me feel like I’m wearing men’s clown shoes. I usually get blisters as work shoes are worn in and my toes often rub painfully against most toe caps. These were comfortable from day one and never caused either problem. Thanks for making women’s styles that are attractive and comfortable. Thanks kindly for the feedback Jennifer. At Mellow Walk we spend a great deal of time engineering our women’s shoes for look and for comfort so I’m glad the Vanessa 402 is your new favorite. Thanks for writing. DO you still make style # 4054 or has this been replaced by 402109. Great question. Yes, 4054 has been replaced with our new Vanessa. It has a brand new fit and a removable insole and (we believe) it is a vastly improved shoe. Please try for yourself and let us know what you think. Both Mister Safety Shoes and Work Authority carry the Vanessa 402109. If you have difficulty ordering please email our customer service orders@mellowwalk.com. Thanks for your interest. Does the Vanessa 402109 fit true to size? My feet are standard width. I currently have a clog style safety shoe (not from Mellow Walk) which I had to get in a half size larger because their fit ran a bit small particularly in the toe. What is considered to be the fit of this Vanessa style? It”s a good question. We spend a lot of time ensuring that our shoes are true to fit. It is best if you can try before buying however our sizing is pretty accurate with the Vanessa 402. Thanks. Is the ladies Vanessa #402109 safety shoe, available in only a steel toe? In answer to your question, Vanessa 402 is only available with a steel-toe. Were you looking for a metal free version? Really really really need these in 12 and 13!!! So sorry but we can only go to size 11 on this model. Sorry to be the bearer of bad news. When can we buy 402109 in Marks Canada? 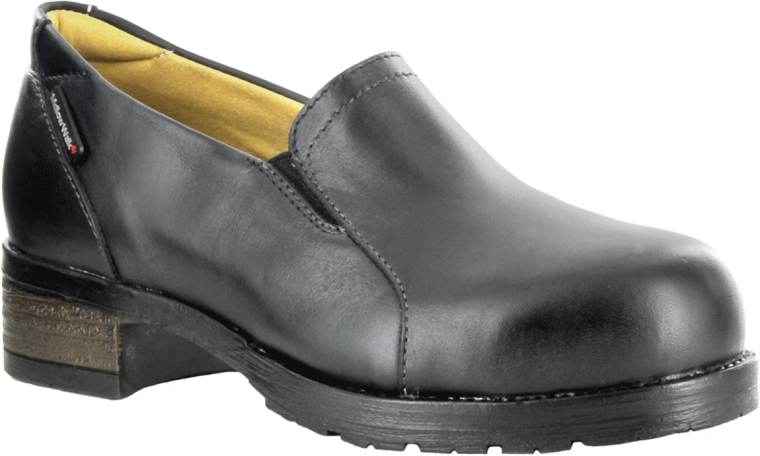 Hi Sue, our Vanessa 402109 is available from Mister Safety Shoes and Work Authority. If you need more specific information about finding a location near you please email our customer service at feedback@mellowwalk.com. Thanks. I am very interested in this pair of shoes. I have been working in manufacturing for over 10 years and have worn a variety of boot and sneaker style safety toe footwear. Now I am moving into a management role and would like a more professional looking safety shoe. My question is regarding the width of this shoe. I have always needed a wide width (no matter what type of shoe/boot). 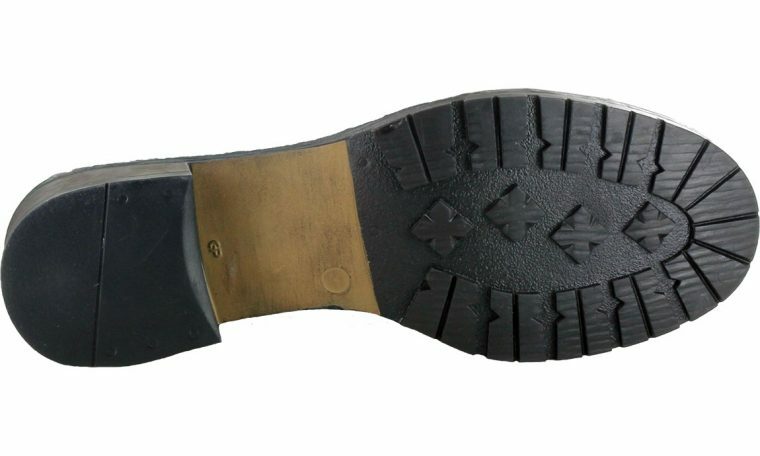 Steel-toe shoes.com identifies this shoe as medium width, but your website says it a D width. My understanding was that in women’s shoes B is standard (or medium) width and D is wide. Can you clarify for me what width this shoe is? arenyou consider to make any of your shoes whit a composite toe?